Shop a variety of bride and bridesmaid tee shirts to get ready in or wear at your bachelorette party! PLACING A GROUP ORDER? Use the ASK A QUESTION button in the link to email us the info for it. 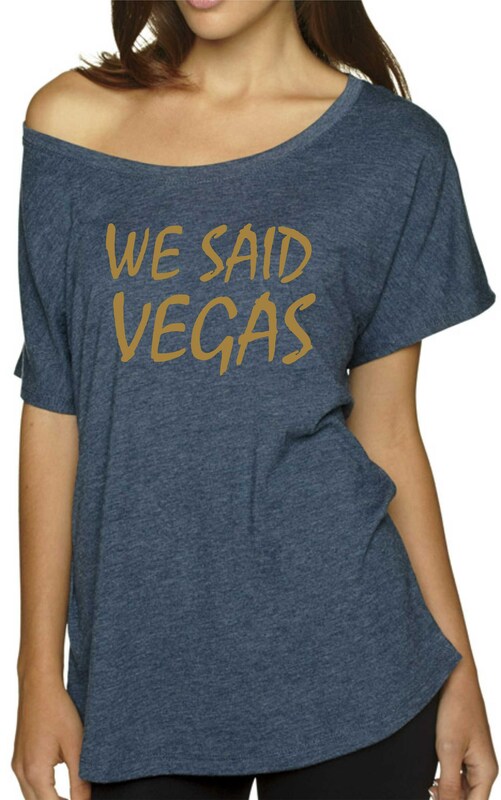 This will read WE SAID VEGAS as pictured unless you leave other wording changes . If you would like another writing, Please leave the information to customize this shirt in the notes section when you check out. For example, Bride, Bride To Be, Team Bride, Bride's Crew, etc. ♡♡ HOW DO I ORDER? 1. To order, add to cart. 2. A notes section will pop up, in that section, please leave the size, color, style of shirt for each wording and the writing color if applicable. This will read Bridesmaid as pictured unless you change the wording. 3. Leave the date needed if applicable. LEAVE CUSTOM WORDING IN THE NOTES OR EMAIL US AFTER. Per the listing white is not pure white, it is heather white (grey tones). 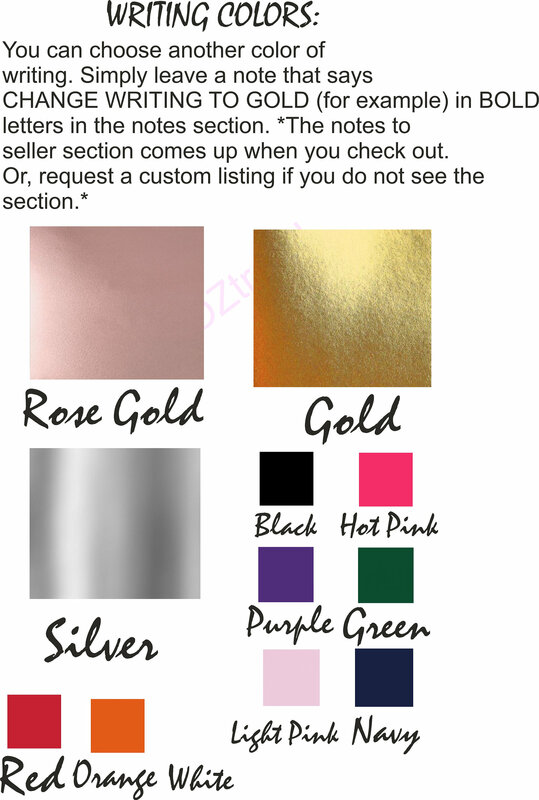 Other Colors: Please email us for other options. PLEASE NOTE: Heather White and Vintage Black has grey tones as these are triblend shirts per the listing. **CHOICE ONE -FLOWY TANKS- ARE MORE ROOMY- DOES NOT RUN SMALL. Tri-Blend Dolman Sleeves. If you want these bigger on you, please order a couple sizes up! NOTE: If larger chested, order a couple sizes up. Sizes are just a guide- use measurements. 3X 14-16-18 MAX. NOTE: This will be snug on a size 16/18. ♥ Do you love this and want to buy later? Click on the heart to your right that says "Add item to favorites." ♥ Do you love this and want to add it to Pinterest? Click on the Pin It button to the right so you can remember it for later. ♥ Do you love this and want to tweet / tell others on Facebook they can get it for you? Click on the Tweet / Facebook button. ♥ Want to buy it now? Click the green "Add to cart" button. Holiday and Custom Bridal and Sports Shirts can not be exchanged. Long Sleeve and Hoodies are considered customized as we do not stock these items. They can not be exchanged. White shirts also are considered custom as we do not stock them. 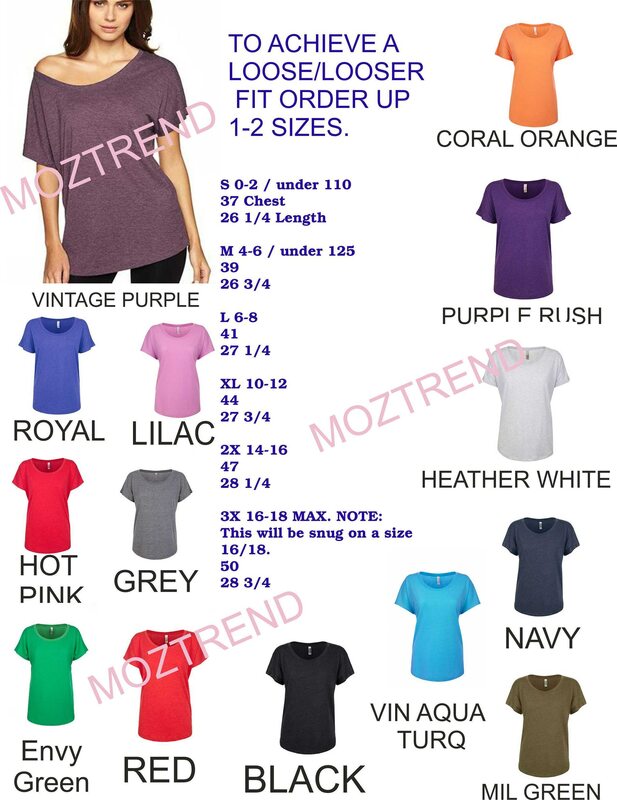 And any special colors of shirts that we bring in to customize for you also can not be exchanged. If we make a mistake we will always correct it at no cost to you. 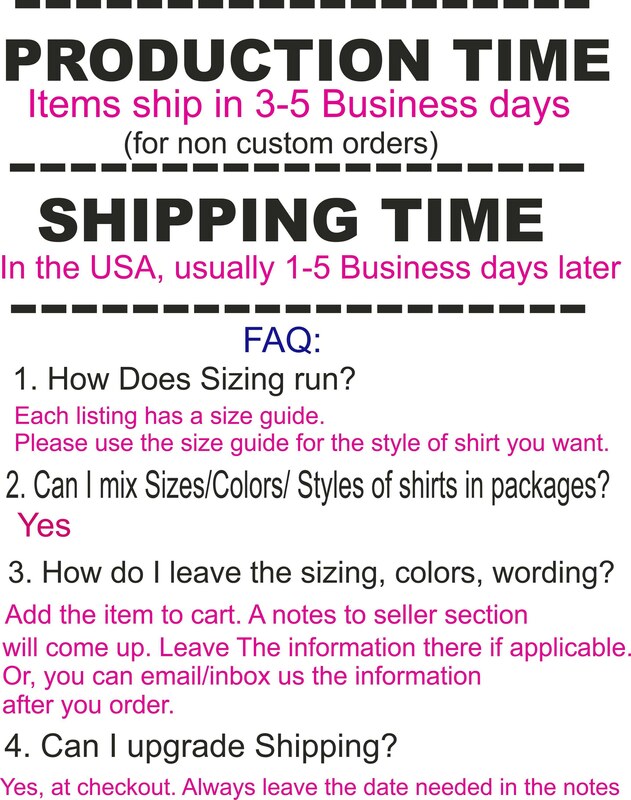 If you make a mistake or need to exchange the same items in a different size you will pay for shipping back and forth and a $5 restocking fee for tank tops and short sleeve shirts. Long sleeves and hoodies can not be exchanged.